The Yonaguni Monument wasn't discovered until 1987, and in that short time, it's already become a tourist attraction off Yonaguni Island. Masahiro Kaji/Wikimedia Commons“The Turtle”, one of the many formations on the Yonaguni Monument. For the longest time, people thought that the coolest things you could see near the Japanese island of Yonaguni were the various hammerhead sharks that showed up in the winter time. That all changed in 1987, when Kihachiro Aratake discovered something that was somehow much cooler than hammerhead sharks. He noticed some rocks on the seabed that looked vaguely manmade. Not long after, a group of scientists from the University of the Ryūkyūs made their own expedition to the strange discovery. 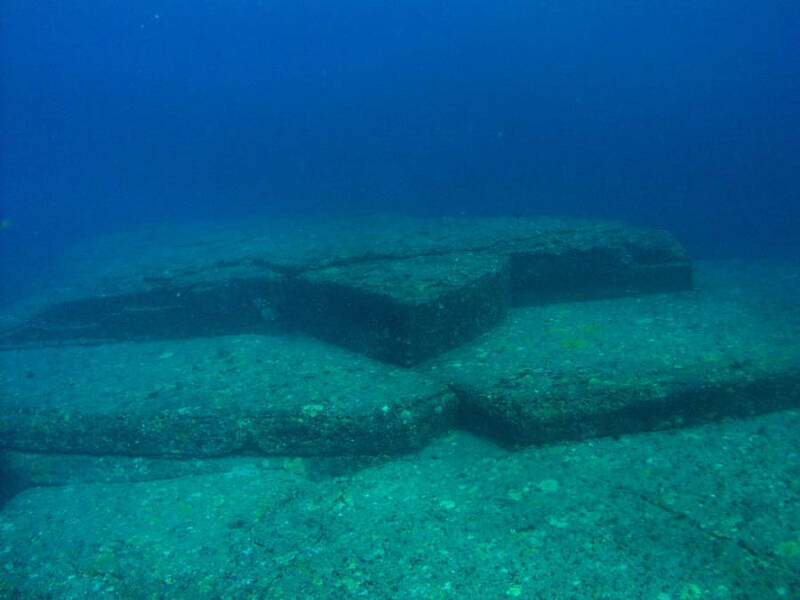 The formations were called the Yonaguni Monument. 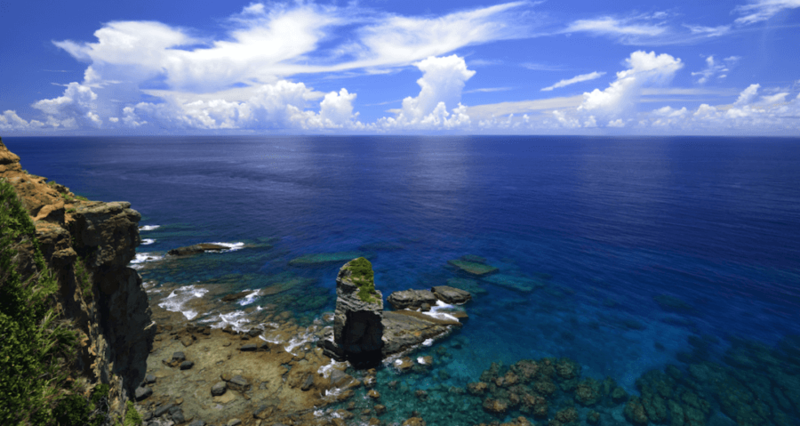 While it’s not a sunken city, the Yonaguni Monument certainly draws tourists like one. Divers brave strong currents that could sweep them away to less interesting parts of the ocean just to see what all the fuss is about. 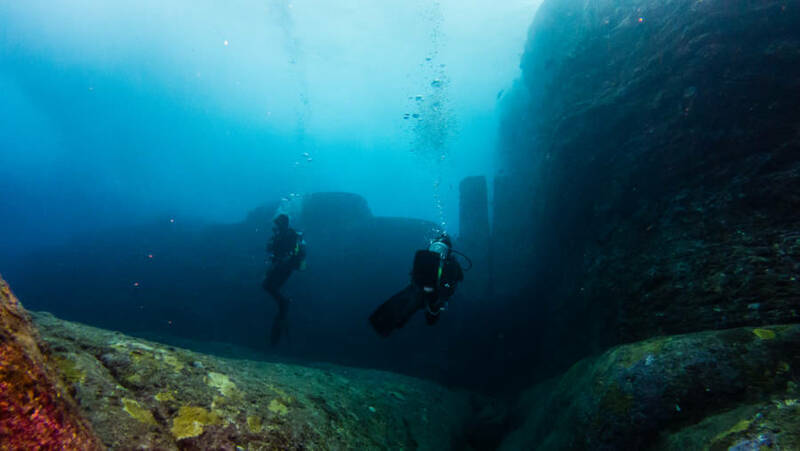 The Yonaguni Monument is mostly composed of sandstone and mudstone, and the various structures are connected to the rock beneath them. The most prominent part of the structure is a giant slab of rock that is nearly 500 feet long and 130 feet wide. It’s also 90 feet tall, and the distance from the surface of the water to the top of the monument is around 16 feet. If it was just a giant piece of rock underwater then it wouldn’t be that interesting, but there are all sorts of details that would point to human influence. There are a couple of pillars, a stone column, a wall that is 33 feet wide, a road, and a star-shaped platform. No one is really sure what the Yonaguni Monument is or where it came from, but there is an array of theories about the structure. Some people believe that this was a natural formation. There are lots of parallel fractures and joints on the rock. Since Yonaguni is in an earthquake-prone area, it would make sense for these fractures to form. The walls on the monument could just be platforms that fell into a vertical position due to erosion. While there is evidence that there were communities of stone-workers in prehistoric Yonaguni, many scientists claim that they wouldn’t be making giant stone sculptures. On the other hand, there’s also ample evidence that the monument is manmade. The lines are too exact and too precise for natural methods. There’s a trench that features two 90 degree angles, and there are two megaliths that have straight edges and sharp corners. Erosion usually leads to softened and curved edges. When’s the last time anyone’s seen a perfectly square rock? There’s also a triangular depression in the monument, and beside it are two large round holes, which could be proof of attempts to separate the rock using wedges. Professor Masaaki Kimura from the University of the Ryūkyūs believes that the Yonaguni Monument is in fact manmade. He estimates that it is around 2,000 years old and that it would not have been underwater when it was first constructed. Being above ground would have made it easier for people to work on. Kimura even goes so far as to argue that the whole structure might be evidence for the lost Pacific continent of Mu. To this day, no one can really agree upon the origin of the Yonaguni Monument, but everyone agrees that it is quite a sight to see. If you like reading about lost cities and buildings, check out the story of the recently discovered Mayan “megalopolis” and learn more about the Canadian settlement that’s older than the pyramids.